Anyhow, tonight is Tavern Chat! Huzzah! 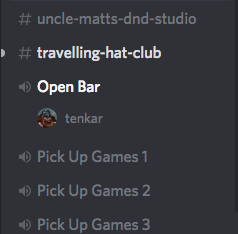 What is Tavern Chat? I've been told it is quite like an unscripted gaming podcast recorded live - except that we don't record and if you miss it you have literally missed it. We don't have scheduled guests but we do have some regulars (and irregulars) that take part in the chat. All you need are headphones (or speakers) to log in and listen. I mic helps if you want to join the voice chat. We also use a text chat channel for additional conversations, links, pics, videos and the like. The common-room is where the daily text chat takes place. 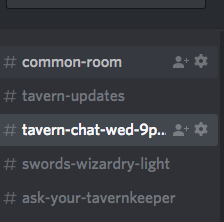 Tavern Chat is Tonight from 9PM Eastern until "whenever".